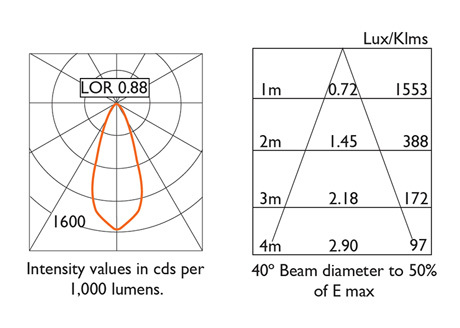 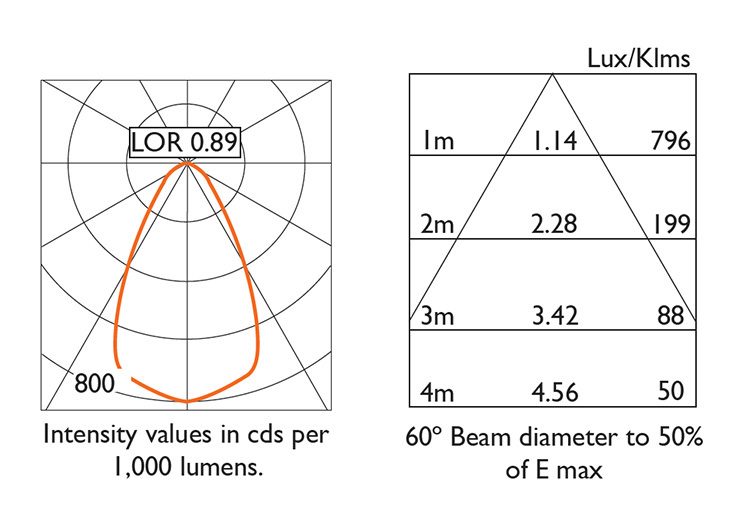 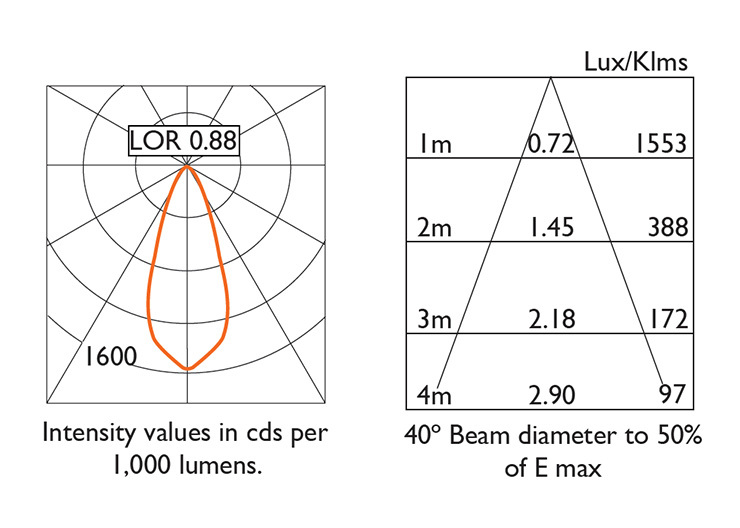 There are usually a number of lumen outputs to choose from, please specify which one you want for each gimbal. 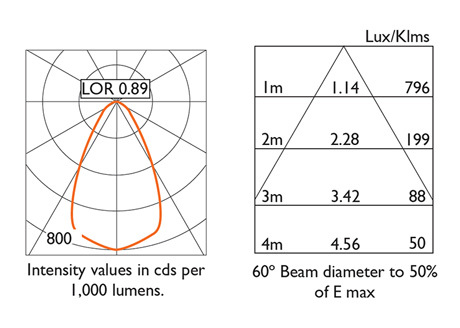 Note: 20º uses XTM 9mm LED i.e. 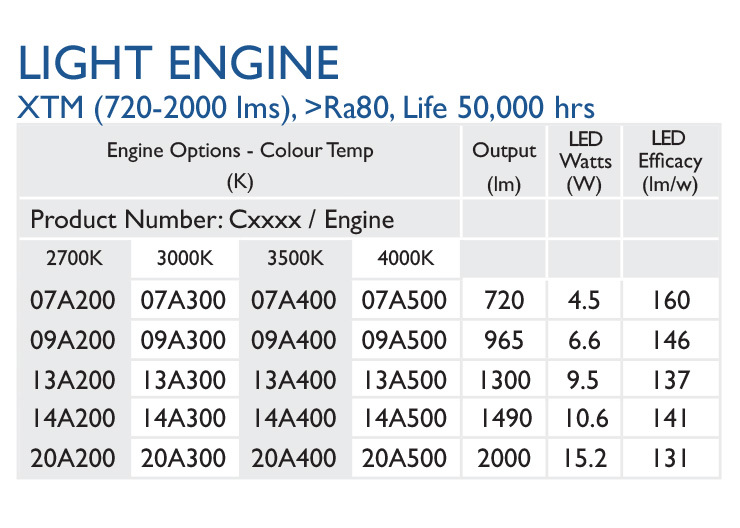 720 lm / 7.4W, 965 lm 10.9W / 1300 lm / 15.6W. 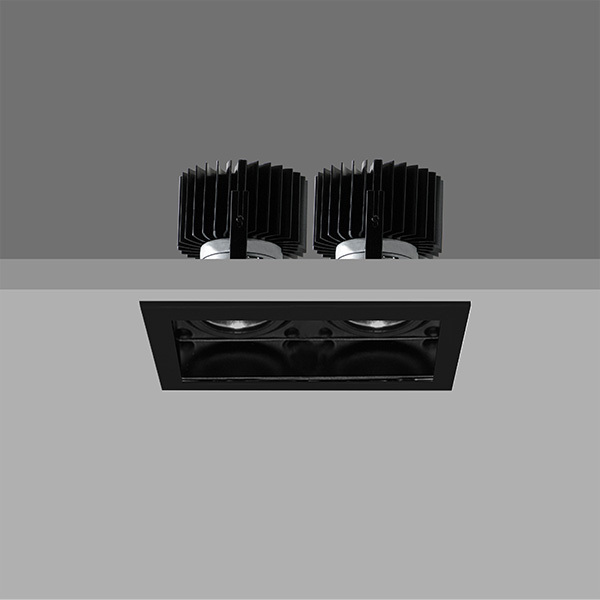 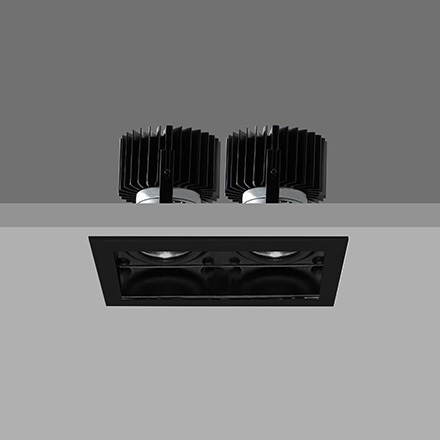 QUAD X86 with Xicato LED double recessed rectangular downlighter with black interior and black ceiling trim. 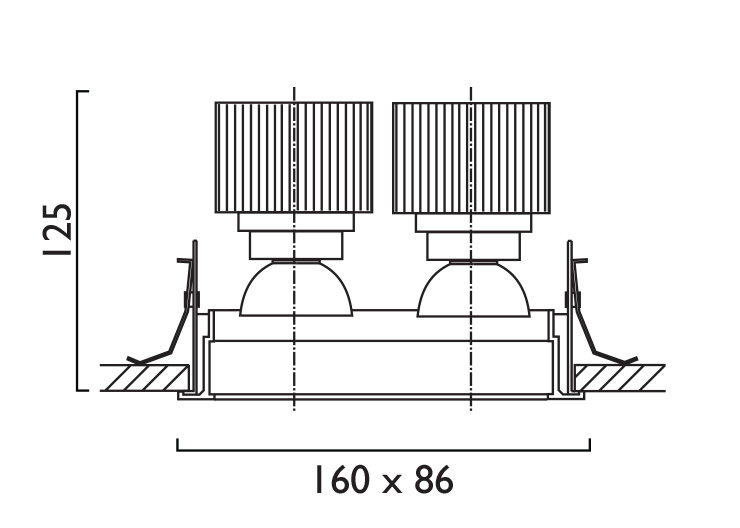 Adjustable 0-30º tilt, 340º rotation. 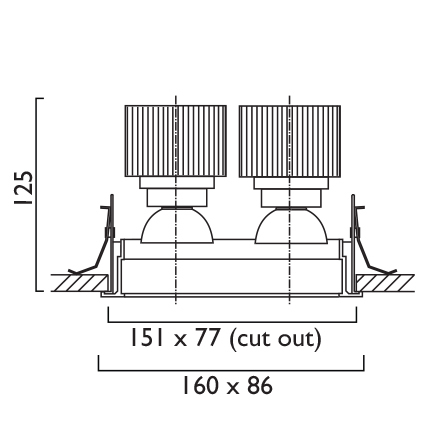 Overall dimension 160mm x 86mm, cut out 151 x 77mm.